At this time of year, most people start to think of sun, sea, and sand, and jetting off on their summer holidays. But, if you experience reduced mobility because of a disability or medical condition it can feel like a huge challenge to arrange a holiday. Here we’ll share our tips for planning a holiday with a disability so that your trip abroad is the truly relaxing break you deserve. When things run smoothly, it’s usually because a great deal of planning and preparation has been carried out beforehand. Do a bit of research – If you’re thinking about going abroad you can start preparing by researching destinations that are known to cater for individuals, couples, or families travelling with additional mobility needs. Travel agents should have good insight into different locations that would be most suitable if you find it hard to walk long distances or need to get around by wheelchair. Speak to your GP – Your GP can give you practical advice about managing any health conditions whilst you’re abroad, can advise on any inoculations you may need, and declare you fit to travel if needed. Make sure you have packed enough medication to last the duration of the holiday, plus a little extra in case of delays. Arrange travel insurance – Make sure you declare any pre-existing conditions to your travel insurance provider to ensure you have the right level of cover should you fall ill or need emergency medical treatment whilst you’re away. Compare quotes between insurance brokers to get the best deal and keep the cost of travel insurance as low as possible. Arranging suitable transport – If you need to arrange an airport transfer pre-book a reliable company who can accommodate your mobility needs as well as any fellow passengers and your luggage. Or, if you have arranged long stay car parking, check to see if they operate a shuttle service from the car park to the airport terminal, as they can often be located a fair distance away, which could be even more difficult when carrying bags. Make it one less thing to worry about. Give yourself extra time – Airports can be huge. Give yourself a little more time to get around and move between the check-in desk, security, the all-important duty-free shop, and the gate. Getting through security with medication – Because of limitations on liquids, pack your medication into your hold bags, but keep any medication you need mid-flight or immediately on arrival in your hand luggage. Your doctor can provide a letter to help your security experience run more smoothly. Also, keep an eye on time zones and the timing of your medications so that you don’t take too much or skip a dosage. Speak to the check-in desk to arrange special assistance – Alert staff at the airport that you may need some help getting around the airport. They can usually arrange a chaperone to accompany you and a driver to take you to the gate hassle-free and in time for your flight. Book extra leg room – If possible, you may be able to secure extra leg room in certain locations on the plane for your comfort and accessibility. Notify the airline staff of any mobility problems if you’re seated close to emergency exits as they may need to find an alternative seat for you. Transfers – Once you’ve collected your bags, you’re ready to get settled in your accommodation. Think about the duration of transfer time on a coach compared to the cost and convenience of pre-booking a personal transfer or hiring a suitable rental vehicle to get around once you arrive. Before you book your accommodation – Think about what you’re looking for in a hotel or apartment. A large complex with lots of floors and stair access might not be the best option for someone with reduced mobility, whereas a small resort with ground floor accommodation could be ideal. Renting an apartment or villa can also be a good alternative with accessible features and can sometimes work out cheaper than a package holiday. Take a look around – Familiarise yourself with the local area, identifying elevators, internal and external stairlifts, ramps, and access points, as well as things like the local pharmacy or emergency room (just in case). Let the staff know – Make sure any physical or dietary needs are communicated to the hotel so they can make necessary arrangements for you as required. If poolside bathing isn’t your idea of a fun way to spend your holiday, don’t let your mobility or wheelchair to hold you back from visiting tourist spots or exploring must-see locations. Sight-seeing – Do some research before you set off to see which tourist have good accessibility and facilities for people with disabilities, you might be surprised at which destinations cater for wheelchair users and individuals with reduced mobility. It’s all about the timing – Think about the best time to travel, if you have flexibility about when you can go away it might be worth considering avoiding peak tourist times, so that you can navigate your way around city centres more easily, and make note of café stops to allow for much-needed rest breaks and a spot of casual people watching. These tips aren’t an exhaustive list of things to consider when thinking about tips for planning a holiday with a disability but should be a good common sense starting point to help you get ready for a getaway. You can also find more information about travelling abroad with a disability on the UK government website. 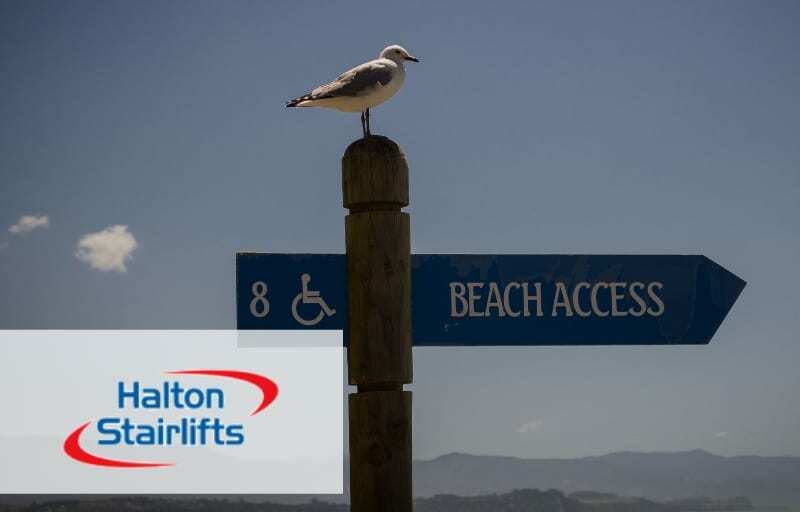 The final item on any holiday checklist should be ‘have fun, enjoy yourself, and make memories’ and the team at Halton Stairlifts certainly hope you have a lovely holiday.